Your vehicle stalls often–this usually happens if the spark plugs are worn, an electronic sensing device needs adjustment, or the gap between the spark plug electrodes need fixing done. Also, your vehicle’s engine is running roughly once you accelerate or idle. The vehicle becomes harder to start–this can result in a weak battery in the starting system, a weak fuel pump in the fuel system, or a faulty electronic component in the ignition system. Having your Air Filter, Fuel Filter and/or Fuel Injector system checked and changed or maintained, is often part of a Tune-up inspection as well. Are you looking for a place that does tune-ups near you? The best place to get a tune-up is at Mr. Muffler. Serving in areas such as Garden City, Westland, Wayne, Inkster, Canton, Livonia, and Dearborn, Mr. Muffler works to satisfy their customers. If you’re not sure about what’s wrong with your car, it is always recommended to come in to get it checked out. Also, a recent customer’s car kept stalling and with it being the first car she’s ever owned, she wasn’t sure on what to do. She decided to bring her vehicle to Mr. Muffler to do a tune-up and it resulted in her needing a new throttle and fuel pump. She was able to walk out of Mr. Muffler satisfied because she used our discount and paid for everything at an affordable price. Finally, please don’t miss out on your chance. 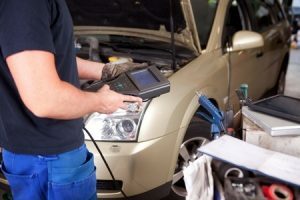 Get your car tuned-up today!